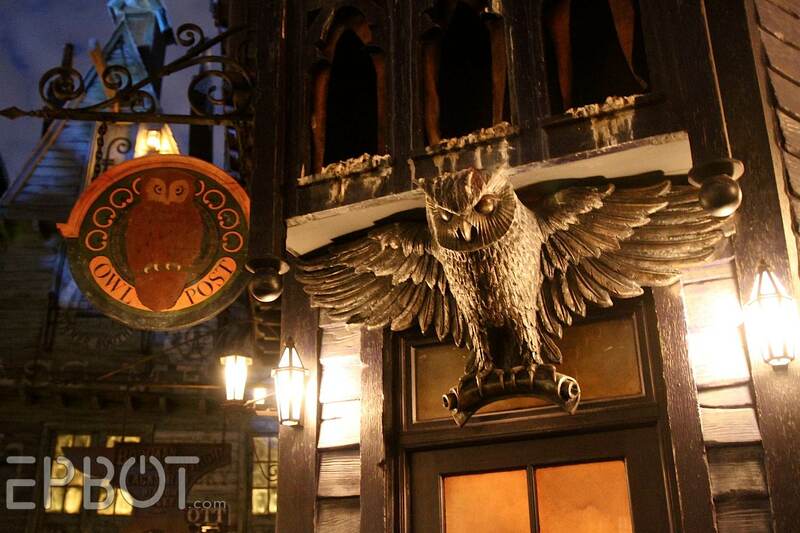 EPBOT: My First Visit To Hogsmeade & Diagon Alley! As a lifelong lover of Seussical anything, your last section made me massively grin. What a beautifully appropriate vehicle! Decked-out goofiness that actually holds a message of great importance. YOU RIDE THAT FRICKIN' HATTED CAT. dagnabit, you got me teary. i'm so proud for you. Baby steps! Good for you for pushing yourself and recognizing where you CAN talk yourself through. The photos are awesome! It's not ridiculous at all! It's fantastic and I'm so proud! I got goosebumps! You rode a ride! That's awesome! I'm so proud of you Jen. :) Big ole ^5 to ya! that dragon is like whoa. so perfect! and you? YOU ROCK! thrilled for you and your victory. just like eating an elephant, one bite at a time. congratulations! I took my husband to Hogsmeade back in March but Diagon Alley wasn't open yet. He's a Harry Potter fan but I think I got a bigger kick out of it than he did! 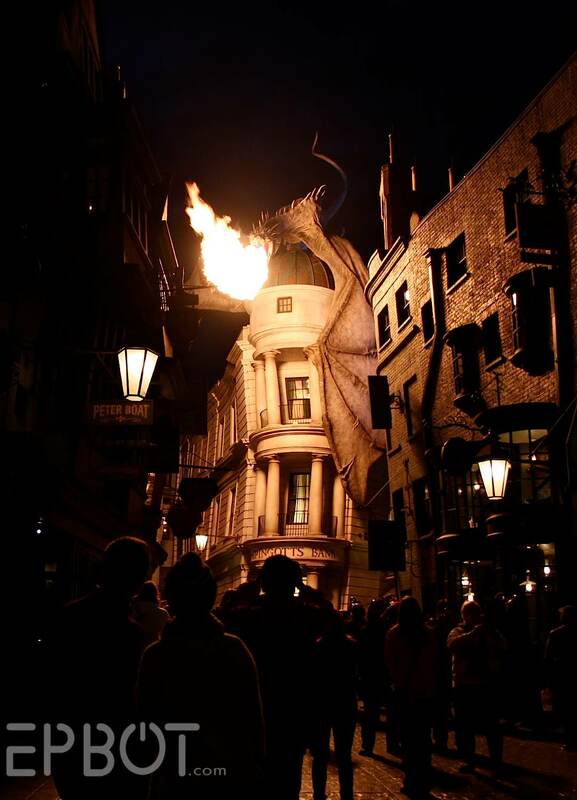 I want to go back and see Diagon Alley now. Also, reading about you going on the Dr. Seuss ride made ME tear up. You go, girl! YAYYYYYYYY That's fantastic!!! One step at a time :) I can't wait until you're able to go on the ride inside of Hogwarts, because that is literally the best ride I have ever been on! I haven't been able to go yet and I live in Lakeland (finances). Thank you SO much for sharing, they're good pics and I couldn't be happier for you that you conquered that fear and rode that ride. First one in two years! WootWoot! You are DOING IT! I would have cried too! I can understand the fear of enclosed spaces. I took a car ride in the backseat of a Camaro (I'm rather tall and large) and held it together until I got out. Then the crying. Never again. I am so excited for you! Baby steps are tiny victories! In a year, two, three you will be amazed how far you have come! So, so, so Proud for you! AND I AM PROUD OF YOU. <3 Way to go, Jen! I am so proud of you! This is a BIG victory on your way to doing anything you want. And I cried when I first saw the original Harry Potter area too (which I just mistyped as Happy Potter). You need to warn us when we'll need tissues. Dangit. I'm all blotchy here at work now! Way to go getting on that ride! May many more rides come! 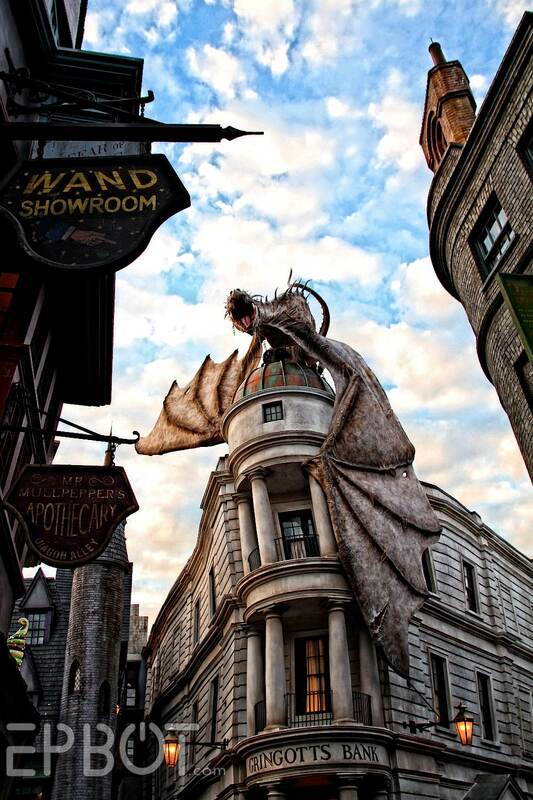 I haven't seen Diagon Alley yet either and I'm terribly jealous. King Azaz's advisors would say: Congratulations! Felicitations! Hail! Good Going! Well Done! So happy you got on the ride!!!!!!! To be able to recognize the things that upset you and be able to tackle them head on is one of the bravest things I can imagine. Here's to many more successes! Wahooo you did it! Go Jen go! 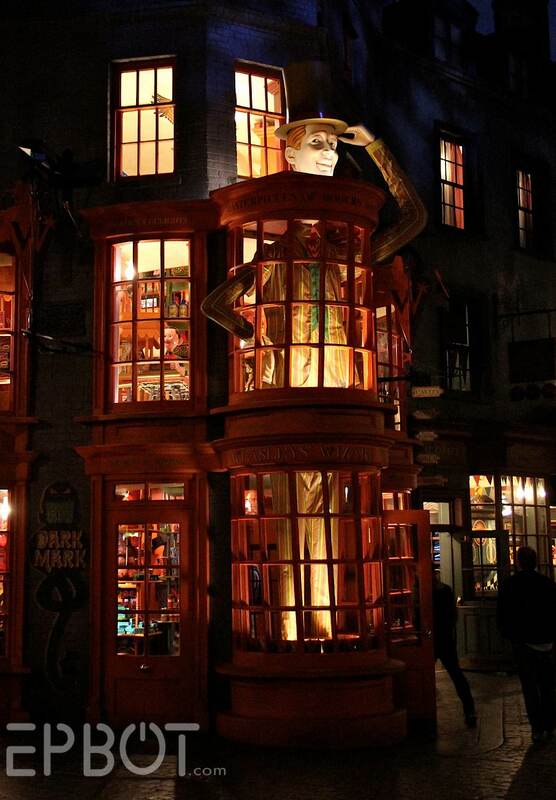 I'm absolutely positive that if I ever get to visit Harry Potter world I will cry like a fool. And I'm sure others have, too! YOU GOT ON A RIIIIIDE!!! I'm SOOOOOO happy for you!!! AWESOME!! Yay!! So proud of you, Jen! I'm all teary-eyed here *sniff* Glad you had such a great day. This one goes to 11! And we are! We really, really, REALLY are!!! Yaaay for you! All of the Kermit Flails ! Did you hear that?!?! That was me giving you the old skool Arsenio Hall fist-pump-in-the-air *whoop* *whoop* *whoop*!!!! Small steps build into bigger steps! I'm glad you had such a wonderful day. I haven't been to Universal yet, but I am so looking forward to it. From the moment I read "and scored a major - if completely ridiculous - victory." I KNEW you had gotten on a ride. WAY TO GO!!! That is awesome, and a very major step...kudos to you. Every victory, no matter how small you may think it is, is a GIANT victory for US ALL. You are an amazing person to share your fears with us, here's to 2 rides next time...we are all very proud of you! 2) I'm jealous that you are always going to the Orlando attractions. That is my dream. for reals. Also, I would not deem your victory ridiculous. Victories are not measured by what was overcome, but what it took to overcome it. That's AMAZING news!! We (I feel like I can speak for the masses on this one) are so incredibly proud of you and of your accomplishment! Thrilled you got to enjoy the wonders of HP world. We only got to see the first half on our trip last year. Now that the new section is up and running another trip is needed! That is amazing! <3 go you! Way to go, Jen! And gorgeous pics, too! My older daughter wants to go to "Harry Potter world" for her 10th birthday next summer, and dagnabit, we're REALLY going to try to make it happen! We saved for 18 months, but we FINALLY went to Disney World last October, so maybe (even if we won't make it FOR her birthday!) we can pull it off. And those pictures and descriptions just made me want to go even more! Also.. WAY TO GO! That's seriously an amazing accomplishment! It's weird to be so proud of someone I don't *actually* know, but I am! I may have even teared up a bit. You go girl! I'm glad you had such a wonderful time!!! wow to all of it!!! the pictures, the descriptions but most of all in the small steps you take each day. you are an inspiration to many for sure. I'm all teary for you, Jen. What a victory!! I thought i was the only one that got teary eyed at your victory but we are all here with you, rooting you on and maybe our own confidence is growing with you to take our own baby steps!! Teary-eyed here, too, in a nearly-deserted coffee shop. Good for you! All victories should be celebrated, no matter how small...and this was HUGE! Congratulations! Toad-in-a-hole - on behalf of all your UK readers, LOLs! Maybe it's not a thing in the US but toad-in-the-hole with mashed potato and gravy is a mid-week dinner classic here - assuming it's sausages cooked in yorkshire pudding? If so, we as a nation concur - yum, I have yet to meet anyone who doesn't like it! Jen, you inspire me every day to fight my own anxiety issues that have plagued me for my entire adult life. Kudos to you for taking the first of many steps to overcome the agoraphobia! Yay! Super jealous! One day I'll make it there! My fiance took me on the studio tour this weekend as a birthday treat and it was just magical! I got to walk down the actual Diagon Alley set and was just amazed by the giant model Hogwarts! Great job going on that ride! Never feel like your accomplishments are small or silly, because they aren't! Just a few weeks ago I'll bet that was a mountain you thought you couldn't beat, but look at you now! I'm a relatively new reader of EPBOT, but I have to say that I'm so happy for you that you're taking steps to be able to enjoy stuff like this! I was also surprised that I started crying when I saw the Hogwarts castle when we went to Universal a few years ago. It's funny how stuff like that just hits you when you don't expect it. I'm so glad that you were able to have fun and experience something so cool! Tearing up over here...way to go, Jen! As someone who doesn't say much, but has been following for awhile, I could not be happier for you! Every little step is a big thing. Way to go girl! You remember you have people cheering for you! Hooray! YOU DID IT! Sounds amazing there, I'm surprised it closes that early there must be so much to see. Congratulations Jen! yay! How wonderful! You are awesome! Victory! This made me tear up a little -- hoping to make it to Universal soon so living vicariously through you! WE ARE SO PROUD OF YOU. Even just going to the park was great, but the Seuss ride was really something! :) Also, you definitely need to do some HDR shots next time. Way to go Jen! I totally believe in taking the victories that come. Sometimes, I'm proud of myself that I did laundry in the day. I try to take it, and run with it! MAZEL TOV!!! That is so awesome! Hooray Jen!! *hugs from near DC* I have some anxiety issues too, though with me it's more volume and people than closed spaces, so I understand a little of where you're coming from. Amazing job! Never ever diminish even the smallest of victories because it is a victory. I'm not super active here but I read every post and I'm so proud of this accomplishment. Way to go, Jen! Congratulations. Looking forward to hearing more about your new steps and new experiences. We all define what success looks like for us as individuals. Congrats on your minor-ly major victory! The cat in the hat is excited about that! Weeping with joy for you!! Jen you are awesome! You inspire me and so many other readers not to let anxiety control our lives and keep us from what we love. And you got to go to Universal! Congratulations on doing the Cat in the Hat ride! That is an awesome accomplishment! Wow! I'm really impressed and properly choked up with pride. Keep up the good work! Your victories are NOT ridiculous! All victories are amazing, and you have to have the small ones to have big ones!! Congratulations! First of all, I'm glad to know adults cry at the sight of Diagon Alley. Before it was even open to the public, I told everyone that if I ever make it there in person, I'm just going to stand in the street sobbing. Secondly, I was thrilled through the whole post! 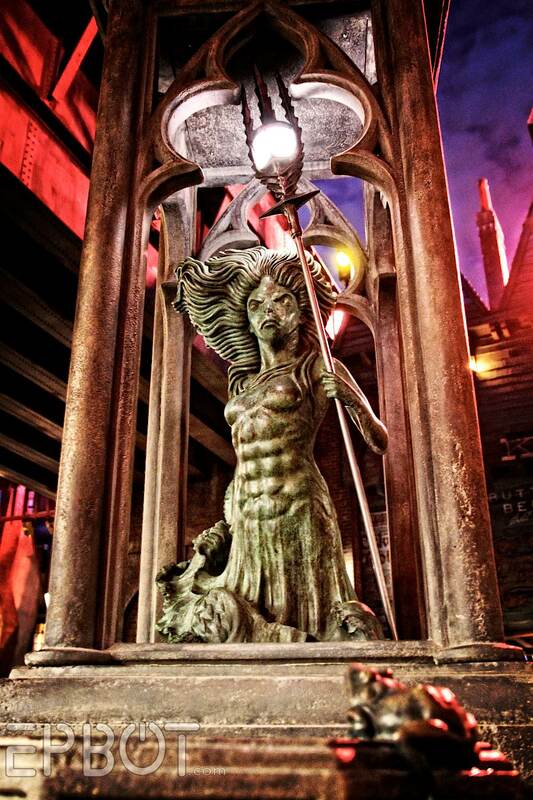 So glad you finally made it to see TWWoHP! But THEN you said this, "... I had another, louder thought. I thought about how proud you guys would be of me. I thought about how proud *I* would be to tell you I did it. And then, dangit, I CLIMBED INTO THAT SILLY SEUSS CAR.". Jen. I am so. so. proud of you. I cried. You made me cry out of happiness for you. It's weird trying to explain how thrilled I am about your day long victory over agoraphobia. Getting in that car is huge. STAYING in the car is enormous. Wow. And finally, I hope to hear about your victorious ride on the Hogwarts Express in the coming weeks. Cheers, Jen. Glad you enjoyed yourself. Small victories are still victories (as someone with social anxiety, I know this well). So proud of you, Jen! And so jealous you got to go. I haven't been since they added Diagon Alley. *sigh* One day. Your victory is not ridiculous and you should be ridiculously proud of yourself--Go Jen! This post made me ridiculously happy on so many levels! I think it's awesome that you got on a ride - congratulations! That's a huge victory! I'm inspired by your photos - I can't wait for you to post more, especially some HDR shots. And I love hearing about both areas of the WWoHP. Thank you for brightening my day! I've been following your blogs for so long that I sometimes feel like we're old friends. (You're like a favorite fictional book character except that you're REAL!) So I was positively giddy for you when I read this post, lol! Be proud of your victories and know that you've got a lot of people cheering you on from the sidelines! First: congrats on your visit AND your ride! 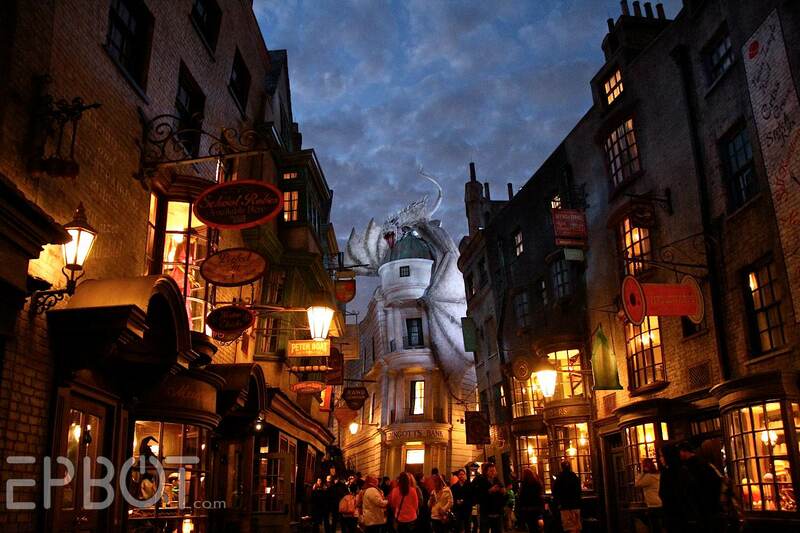 Second: I want to visit diagon alley sooooo bad now. Thanks for the rundown. Oh my goodness, oh my goodness - YOU DID IT! So stinkin awesome that you went on a ride, its a big step for you and I know you must have been positively giddy when you were done. Congratulations on your accomplishment and thank you for sharing with the rest of us. We love your blogs and we love you! Jen, I am so incredibly happy for you!! So glad you got to go, and for the mild weather, and the small crowds, and the small-to-large victories. [throwing imaginary confetti] Wonderful. Just wonderful. Way to go! 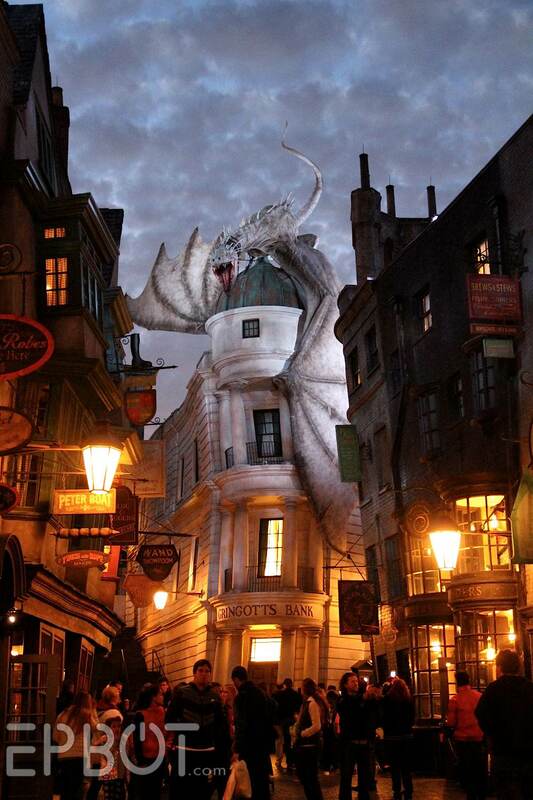 I will admit to getting terry-eyed seeing the previews for Diagon Alley. Can't wait to see it in person! "Teary-eyed" dang autocorrect, who puts towels in their eyes? No victory is ridiculous!! We are so so proud of you! Seriously, I had a few little tears at the part about the ride! Heck, I was proud when you said you went into Ollivanders! Great job- keep up the good work! Woot! Way to go! You rock!!!!! Congratulations on getting out there! Your pics are really beautiful. You are right, your victories are ridiculous...ly awesome! Proud of you! I too started tearing up reading about you going on the ride!! Congrats on getting on the ride. Though I've only met you once at a book signing, I've been following Epbot since the very beginning (this is the ONLY blog I read faithfully these days! ), and I think of you (and John) as friends. As your friend, I'm over-the-moon ecstatic for you! Every step forward, however "ridiculous", is still a step forward. I wish you all the best in taming your anxieties, as you will benefit greatly from being able to see the world, and the world will benefit even more for getting to see you! Wow, awesome photos! But you buried the best part! I am so awesomely thrilled and excited for you, and I love that part of what helped you get over your fear was how proud you would be to tell all of us how you got over your fear. Thank you for being so open and honest about your journey with us, for sharing your fears and pain. In no way are my own anxieties on par with what you or so many others here experience, but I so appreciate reading what others experience and knowing that I'm not alone and I'm not crazy for feeling what I do. Congrats Jen, so proud of you! Now excuse me while I go and find whoever is chopping onions in my house. C) I appreciate any and all photos (WOW THAT DRAGON) but can completely understand how you get distracted by the real thing since I do the same thing all the time! Wow. How much I want to go there. Please more pictures next time. Your victories aren't ridiculous. They are great. Do you hear me cheering you on from Germany? I'm posting some achievement stickers on the Epbot Facebook page. You earn everyone of them. Congrats, Jen! A step is a step no matter how small it seems! OH YES WE LOVE THAT DRAGON!!!!!!!!!!!!!!!!!!!!!!!!!!!!!!!!!!!!!!!!!!!!!!!!!!!! WILL IT COME AND BURN UP YOUR PILLOW IN YOUR SLEEP AND BLOW FIRE UP YOUR ARSE!!!!!!!!!!!!!!!!!!!!!!!!!!!!!!!!!!!!!!!!!!!!!!!!!!!!!!!!!!!!!!!!!!!!! BAAAAAAAAAAAAAAAAA! HAHAHAHAHAHAHAHA! POINT MADE YOU GOT 1 ON YOUR TAIL!!!!!!!!!!!!!!!!!!!!!!!!!!!!!!!!!!!!!!!!!!!!! BAAAAAAAAAAAAAA! HAHAHAHAHAHAHA! Sounds like you had a great day. Well done on winning. We're heading to HP in a couple of weeks. Your description and photos have surged my own excitement from a 10 to a 15. Not a ridiculous victory at ALL!! You silly girl. *g* Is it weird that I'm totally proud of you? Given that you are a stranger and I am mostly a lurker? (although you DID feature my kid in her steampunk duds on Saturday steam once. Highlight of my internet life!!) Don't underestimate how much we are connected to you - in a totally non-stalker way *shifty eyes* - and how we are all rooting for you to kick your agoraphobia right in the bahookie! Nice job, missus. Congratulations :) I'm so impressed I'm now welling up at my desk! My colleagues *may* think I'm a bit weird... ps: the Harry Potter studio tour in London is awesome too - the model of Hogwarts is phenomenal! We have a daughter (stepdaughter for me) for whom every tiny step of development that everyone considers normal is a huge freaking leap for her. One of the things I've come to love and embrace is that everyone gets to define their normal and change it whenever they like. You did amazing - spending the whole day, going on the ride, and challenging yourself to do what was the impossible before. In my family, that means cake! Like a lot of others here, I am a sap, and so proud of you! (I have tears. One tear. It's very cinematic.) Fist Pump for Jen!!!! Keep taking those steps to freedom, Girl! I don't usually comment (for anything) but am chipping in with a huge HOORAY! I'm so happy for you to be able to enjoy your day and even go on a ride! As a mom of a son with some special needs, I know sometimes what seems like the smallest victory can be the most important. And now that you have season passes, I hope to see lots of pictures. So proud of you, Jen! It is intimidating and painful to face our fears, and it's amazing that you have found the courage to fight your agoraphobia. I hope your journey through it is rewarding and relieving. I will cheer for you each step of the way. A victory no matter how small or large, IS STILL A VICTORY!!!!! So proud of you and I don't even know you! This site and Cake Wrecks give me endless chuckles, ideas and inspiration. My wish for you is to have the ability for the world to be your oyster, in person. It's actually a selfish wish as I know you will share your experiences with us all. "Ok, maybe my victories are kind of ridiculous. But at least they're mine." :-D Oh YES, they ARE! Happy Thanksgiving, Jen. And John. And menagerie. Just think of what the "tomorrows" may bring! I am so proud of you and your victory of the day! You, madam, never cease to amaze me! Yay for you, going on a ride! Like Bob Wiley tells Dr. Leo Marvin, "baby steps get on the bus...baby steps go down the aisle...baby steps..."
That place looks amazing!!! I may fly to Florida and spend a few weeks in Universal and Disneyworld. It's so awesome that you get to go so much and still enjoy it. So many people lose their luster after a few visits. It's so fun to watch you conquer your inner fears! As soon as I read "I went on a ride. And better yet, I didn't panic!" I fist pumped and said, "YES! GO JEN!" **Then I had to look around to make sure no one saw me congratulate the computer screen. Yay!! Great job, Jen! I'm so happy for you that you took the risk and did it! That made me all teary-eyed. I'm a lurker and have never commented but I just had to say congratulations! So happy for you! NOT ridiculous. An important step and we are thrilled for you. Proud of and inspired by you! Those last few pictures of the dragon are GORGEOUS. And I love the mermaid statue too! Your victories are not ridiculous. They are steps in the right direction. They are BIG to you. And that's what's important. A victory is a victory, no matter the size. Good for you! I think it helps that you know what the issue is now. I know when I finally figured out my problem was real, honest-to-goodness anxiety and not just a personal "weirdness," it really helped, and I've been able to tackle things a little better since. Hooray for taking steps in the right direction! You savour that victory, because you earned it! Woohoo!!!! So proud of you!!!! When we went to Hogsmeade, it was pouring down rain. But the butterbeer was delicious, and the Three Broomsticks makes some mighty tasty fish 'n chips. Diagon Alley wasn't open yet, unfortunately. If we make it to Orlando again, I'll have to let you know so we can hook up. Mini-Mal and Mini-Kaylee are getting so big now! Jen, I am so happy for you. Congratulations and may there be many more proud moments to come! I'm proud of you for facing your fears! and loving your photography too! Oh, Jen, how lucky you are! I am so envious that you got to visit HP land. Someday I too will find the courage to get in the car, drive 800ish miles, and experience the wonder that is Hogsmeade and Diagon Alley. Secretly, I dream of running into James and/or Oliver Phelps. I am so proud of you Jen, and so happy for you that you took that step. I'm so excited for your victory on the ride (no matter how silly the Seuss car). Just wanted to share my own little victory - my little brother came into town for Thanksgiving this week, and knowing last night would be my only chance to see him, I had to go out with a group much larger than my comfort zone. I even managed to enjoy the party (! ), other than one five minute quiet break in a bathroom. that victory is SO FAR from ridiculous I can't even tell you. Yay for you. Yay for realizing a dream and letting yourself do it your way. Yay!!! I hope there's another "cold" day soon so you can go back and feel yourself getting stronger and stronger. Long time lurker, first time commenting here. Firstly, wanted to say how brilliant this news is - very pleased for you! Although it's Disney rather than Universal, I read this article on The Toast about sadness and/at Disneyland and although it's not really similar to what you experience through anxiety I thought it might be of real interest. You were certainly the first person I thought of as I read it anyway. Overcoming your agoraphobia like this. Now you will be able to enjoy places in real, instead of by proxy. Aww, Jen, I totally teared up reading about the Cat in the Hat ride victory! Of course we are so stinking proud of you!! Yes! So very happy for you! P.S. It was great to see you in Pittsburg! So happy to hear of your success! As a fellow Floridian, I can't imagine not being able to experience all of the wonderful rides and attractions we have here in Orlando. So happy to hear that you're beginning to be able to take part again. And omg, I want to go there so badly. It looks awesome! You're right! We ARE proud of you! Go Jen! I've followed this blog from day one. I'm so happy for you! I too have to work towards some goals in small steps or baby bites as I call them. Reading your blog and the kind comments left helps. Jen - You go, girl. You GO, GIRL!!!! SO PROUD of you, lady! I sometimes get "that feeling" too - and it's such a powerful lift when you DO something everyone else does without a thought, much less a second thought. Wonderful, isn't it? "Well, I did *that*, and it wasn't so bad after all.... Maybe next time it won't be so hard!" Bless you, Jen - and John(THoJ), too for being such a good and faithful support. Go Jen! That was quite some feat going on that ride. You really should be proud of yourself. I know how proud I felt going up to speak to some frends of my mom, and how I couldn't brag to anybody afterwards because I felt that no one would understand. you go girl! I am so happy for you & proud too. You go girl! That is an amazing accomplishment. We went this summer to both parks and, like you, I cried. My family thought I was nuts, but I didn't care. I loved every stinkin' minute I was there. Congrats on your victories! Proud of you! Way to go Jen! Very happy for you! Each time you get on the ride, and any other anxiety-inducing activity, the next time will be easier. I am delighted to hear you rode the ride, and am rooting for the next brave step you take. Signed, A Fellow Anxietiac. Go you, Jen! I'm completely proud of you! Way to conquer that silly old cat! I hope you enjoyed your time with The Cat in the Hat. (I always loved the TV show with Martin Short - I named our mini-minivan, "The Thingamajigger," since we're always seeming to "Go go go, on an adventure!" in it.) I'm so happy that you are sharing your struggles with us - your victories like this one feel like our victories, too. It's a little hard for some to understand, but the feeling of triumph I had recently - when I finally received a proper medical (specifically, psychiatric) diagnosis for what's up with me - felt like getting my Hogwarts letter after all these years! (BTW, I turned 42 this year, and had wanted to do something special for this birthday; but Life, the Universe, and Everything got in my way, hehehe.) So it was a really special treat to finally get this diagnosis which explained SO MUCH about my life; it's like my magic didn't present until now, and finally Hogwarts has added an Adult Education Department. I wish it truly were that much FUN dealing with the things we do, but the point of view sure doesn't hurt. Carry on, my friend, carry on. (Probably needless to say, I love what you're doing with your Harry Potter tree.) We love you in a non-anxiety-producing sort of way! Way to and thank you for sharing your pictures. It is on my dream list to go there one day so I live through the pictures. Yes! So proud of you! I kinda choked up when I read that you went on a ride ... I'm so happy for you! YAAAAAAAAY!